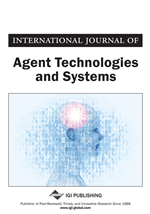 Large-scale Agent-Based Modelling and Simulation (ABMS) is a field of research that is becoming increasingly popular as researchers work to construct simulations at a higher level of complexity and realism than previously done. These systems can not only be difficult and time consuming to implement, but can also be constrained in their scope due to issues arising from a shortage of available processing power. This work simultaneously presents solutions to these two problems by demonstrating a model for ABMS that allows a developer to design their own simulation, which is then automatically converted into code capable of running on a mainstream Graphical Processing Unit (GPU). By harnessing the extra processing power afforded by the GPU this paper creates simulations that are capable of running in real-time with more autonomous agents than allowed by systems using traditional x86 processors. In this section we’ll begin by presenting the challenges faced when developing applications for GPGPU and conclude by making note of some of the previous attempts made to unite the fields of GPGPU and agents.